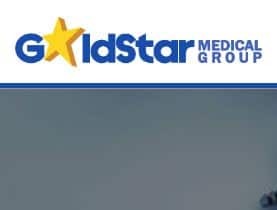 Goldstar Medical Group is seeking to recruit Sonographer. • Ability to effectively operate sonographic equipment. • Ability to evaluate sonograms in order to acquire appropriate diagnostic information. • Ability to integrate diagnostic sonograms, laboratory results, patient history and medical records, and adapt sonographic examination as necessary. • Ability to use independent judgment to acquire the optimum diagnostic sonographic information in each examination performed. • Ability to evaluate, synthesize, and communicate diagnostic information to the attending physician. • Ability to communicate effectively with the patient and the health care team, recognizing the special nature of sonographic examinations and patient’s needs. • Ability to establish and maintain effective working relationships with the public and health care team. • Ability to follow established departmental procedures. • Ability to work efficiently and cope with emergency situations. • Minimum of a certificate in sonography required. • Candidate with background in radiography will be preferred. Contact: 0266-865291 for further enquiries.